- Striplite is suitable for use with for 1xT8 36W fluorescent tubular lamp with all complete accessories. - Housing : Pre treated CRCA sheet steel with epoxy white powder coated finish. The luminaires is prewired up To terminal block and with electronics Ballast or open construction copper wound low watt loss Ballast. 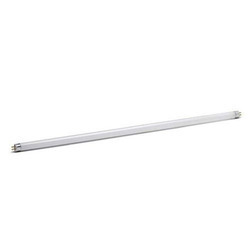 This lamp's lifespan greatly exceeds those of regular CFL lamps, which „go when the bulb goes.“ With the use of these detachable tube lamps, whose tubes can be easily replaced after they burn out, the value and efficiency of the overall lamp is increased many-fold. - Available in 250W & 400W in Coated Elliptical & Tubular shapes in daylight 6000K colour temperature. 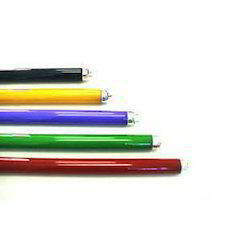 - 400W Tubular Lamp is available in colours (R/G/B) can be used in special lighting effects and monument lighting. We are a proud supplier of a comprehensive range of Fluorescent Tubular Lamps, which is available in desired sizes and power. We are the leading trader of Bajaj Fluorescent Tubular Lamp which has a faster warm-up and hot re-strike features. This range is available in wide range of watts colour temperatures.